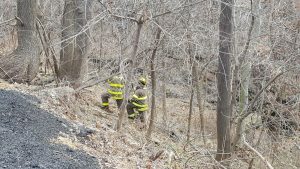 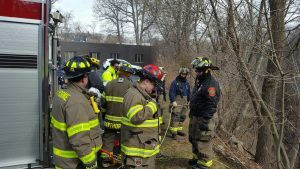 Department members where tested with a Sunday morning drill which simulated several victims of hiking group falling into the deep ravine off route 208. 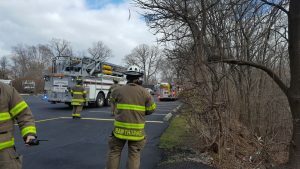 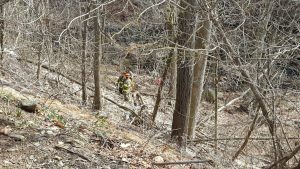 The group attempted to help a fifth hiker who was fatally injured in this drill scenario and became victims themselves. 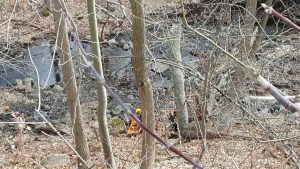 Rescuers were summoned to the 175 foot ravine and tested in a difficult exercise of rescue knowledge and physical effort to successfully recover all of hikers. 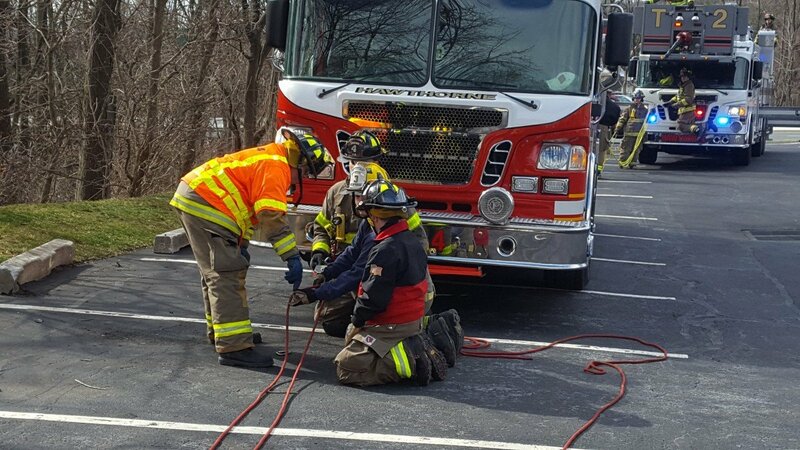 All five Hawthorne Fire Companies, Hawthorne EMS and Auxiliary Rehab Team participated in the three hour drill.